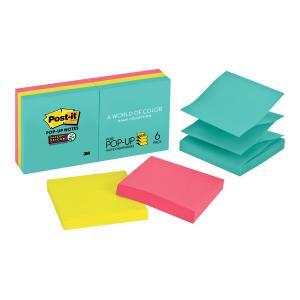 Post-it® Recycled Super Sticky Pop-up Notes Miami Collection in 76 x 76mm size are accordion-style notes that pop up one after another for one-handed dispensing. The bendy pull up qualities of these notes fit your flexible lifestyle. Great for entrepreneurs and businesses with an edge.